Guardians of the Children (G.O.C.) 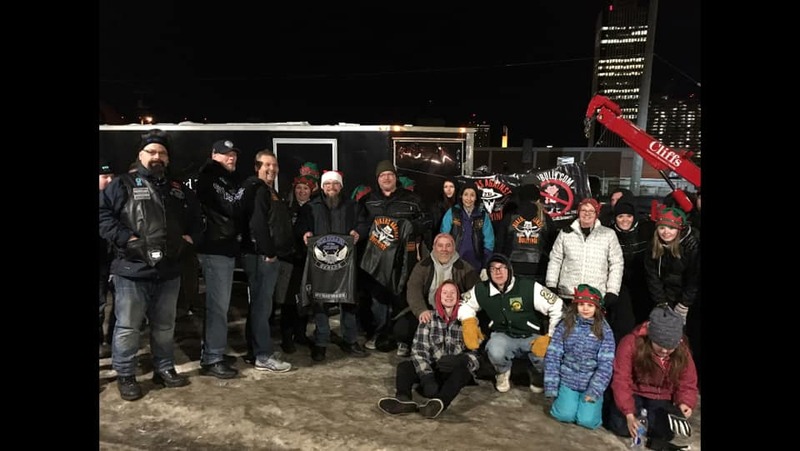 – Edmonton joined forces with Bikers Against Bullying (212) – Edmonton, Chapter 7, to serve meals and donate much needed necessities, like blankets and warm clothing, to children and families across Edmonton, Alberta through Hope Mission, a non-profit organization aiming to provide food and shelter and prevent the cycle of poverty for children and youth while restoring the lives and families broken by addiction. 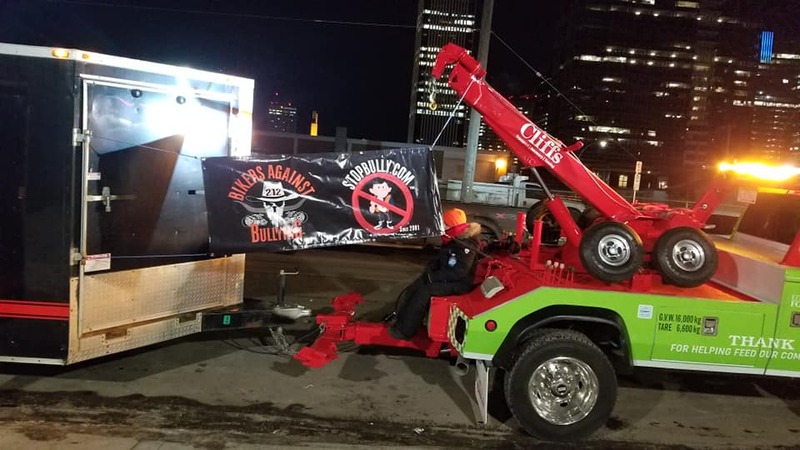 A special “thank you” to Cliff’s Transport, Recovery, and Towing for donating their time and equipment to make this all happen. If you or someone you know is in need this holiday season – reach out to Hope Mission.